We strive to build a real community in RiverPark Offices therefore we hold several tenant-events throughout the year. We organize massage-days, sport events and yearly featured-events as well. 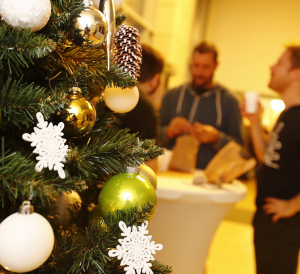 Once again we organized our – now traditional – Advent Mulled Wine Party in Riverpark Offices. We awaited our tenants with roasted chestnut, cocoballs, spicy mulled wine and hot alcohol-free punch. In June 2018, we invited our Tenants to a real Parisian Picnic. We awaited them with French accordion player, pantomime artists, cartoonist, tenpins, roulette and card table. The atmosphere was complete with fine assortments of French food and pastries. In the spring of 2017 we organized a Rockabilly Party in the theme of the 1950s-60s’ America. 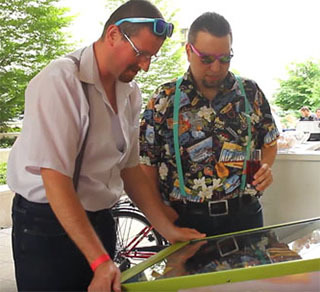 We entertained our tenants with a real pinball machine, fussball and smoothie-bar. They could try tattoo-making by the careful guidance of tattoo-artists. Comes December, our traditional Mulled Wine party takes place! 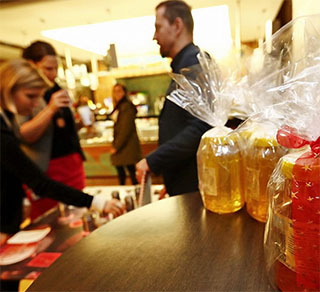 During Advent, every year we invite our tenants to our traditional Mulled Wine Party. While we treat them with steaming, spicy mulled wine and freshly roasted, scented chesnuts, we get into the holiday-spirit together. 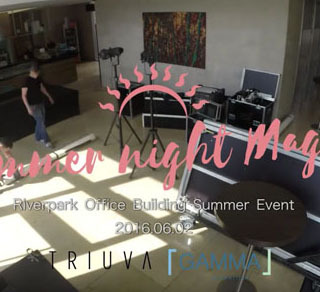 We organized a informal, summer night event for the tenants of RiverPark Offices, where Soma Hajnóczy -World Champion of Magic – and Tamás Badár from Hungary’s Got Talent Show enchanted them with unique tricks. Fine grilled foods, wines from the Janus Winery, ice-cold artisan beer, fresh fruits and vegetables, smoothies, lemonades and cotton candy made the night special. Csemer Bori and the InFusion entertained our tenants at the Summer Greetings Party. 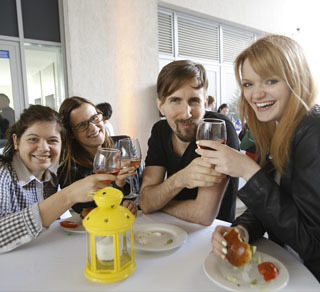 The atmosphere was complete with wine-tasting, craft-beers and streetfood.